Are just a few words used to describe Annie Radzus, Channel and Teacher. Dedicated to her craft, she hones her craft and something else here. Passionate about her ability to connect to energy with such great clarity. Integrity in the details allows her clients to truly feel the presence of those loved ones who travel with them, often receiving much needed communication and guidance. Annie is dedicated and passionate about her work, and always serves her clients with the utmost integrity. She has had a life path devoted to personal growth and service to humanity. Her studies have led her to investigate the beauty of diverse paths to Spirit and to numerous highly esteemed spiritual teachers. It has been an amazing journey, filled with miracles and Spirit phenomena. She has been assisting others to transform their lives, through her readings, her mediumship and emotional healing energy work since 2002. A sought-after speaker and an expert in Akashic Records and presents at many National Spiritual Expos. A Conscious Channel that brings forward information from The Records with joy and love. Her clientele includes numerous professional mediums and psychics. 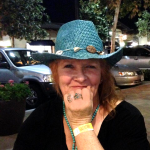 Spirit works through Annie with joy and honesty – always a straight-shooter and filled with compassion. Known for her amazing accuracy, Annie is dedicated to assisting her clients in their personal transformation and enlightenment that has earned her a loyal following. Connecting with loved ones and spirits that have passed away, this ability allows her to connect to spirit with such great clarity and detail allows her clients to truly feel the presence of those loved ones who travel with them, often receiving much needed communication and guidance. 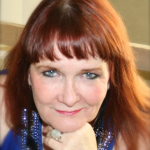 Annie’s clients include business professionals, entrepreneurs, and other psychic and mediums. She isn’t just an “intuitive” or “coach.” She’s a powerful navigator – The Oracle to your authentic self and all that means in the world. So for the nitty-gritty questions of everyday life and the deeper exploration of your soul choices. Annie can help you navigate it all for your highest and best choices. If you’re ready to move past everything that’s been holding you back, become fully motivated and empowered, and experience the strength in being truly seen – your journey begins here. Find out how booking an appointment with Annie can be a life altering experience. She can point you in the right direction on the path to ….